I’ve been a “full-time” scavenger for nearly three years now and have been honing the art for longer than that. My trash picking technique continued to evolve in 2015. I greatly improved my organizational skills, visited new neighbourhoods, and learned a lot about selling online. 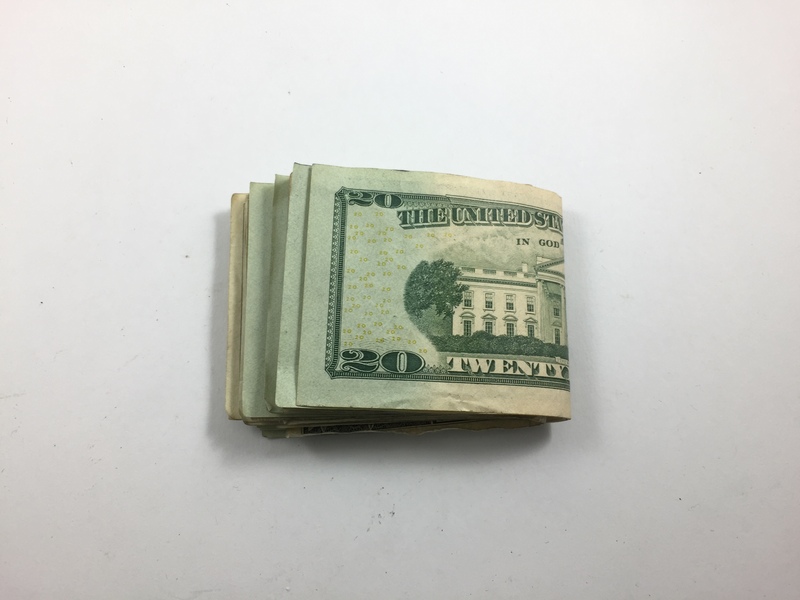 It was the first full year that I kept track of my sales, and my refined business savvy led me to earn more than I ever have before. I’ll take a closer look at the numbers in a future post! I also changed the way I blogged, switching from a rigid weekly post to something a bit more casual and less time consuming. I found that the old method was contributing to garbage fatigue, and since the change I’ve found blogging to be a lot more satisfying. I don’t think anything I found in 2015 is quite as mind-blowing as the Nazi German passport I saved last year. However, I think that my average find this year was better than last, and this fact is reflected in this post. 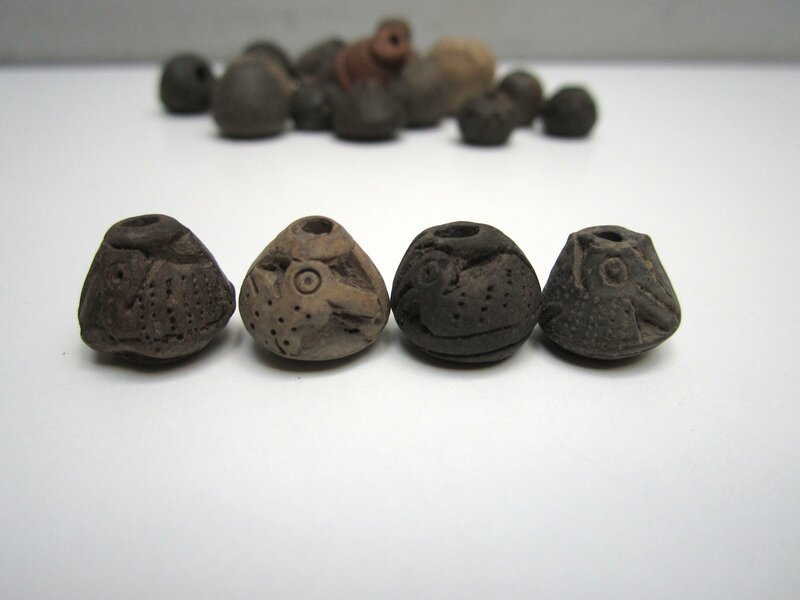 What follows are five lists that I think represent the best finds of 2015. It’s hard to choose sometimes, and a lot of great finds are obviously left out. Check the archives if you want to see it all, and let me know if the comments if you think I left anything deserving out. I’d like to thank whoever decided to toss this machine – it makes a pretty tasty latte! 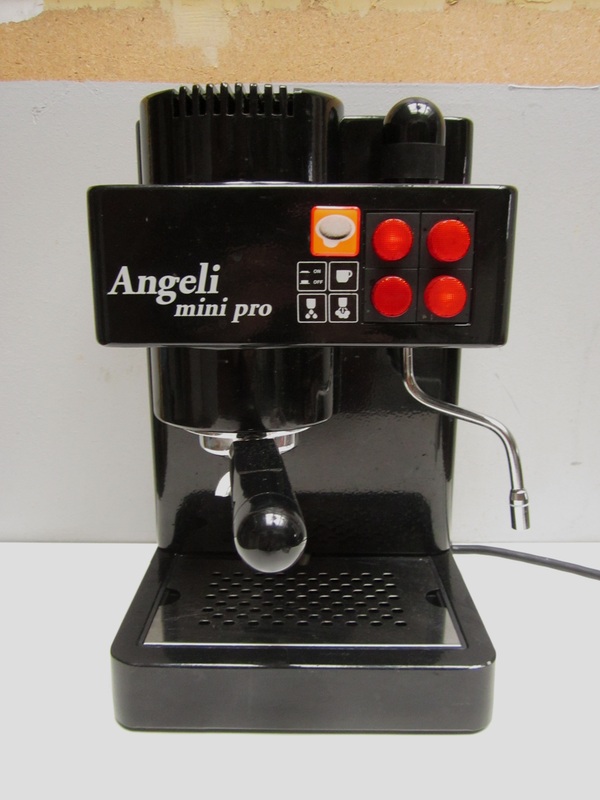 It’s a solid mid-range appliance that should provide me my caffeine fix for quite some time. Apparently this model was often given by distributors as a gift to café owners. The previous owner may have tossed it in preparation for a move. Found this April in TMR. 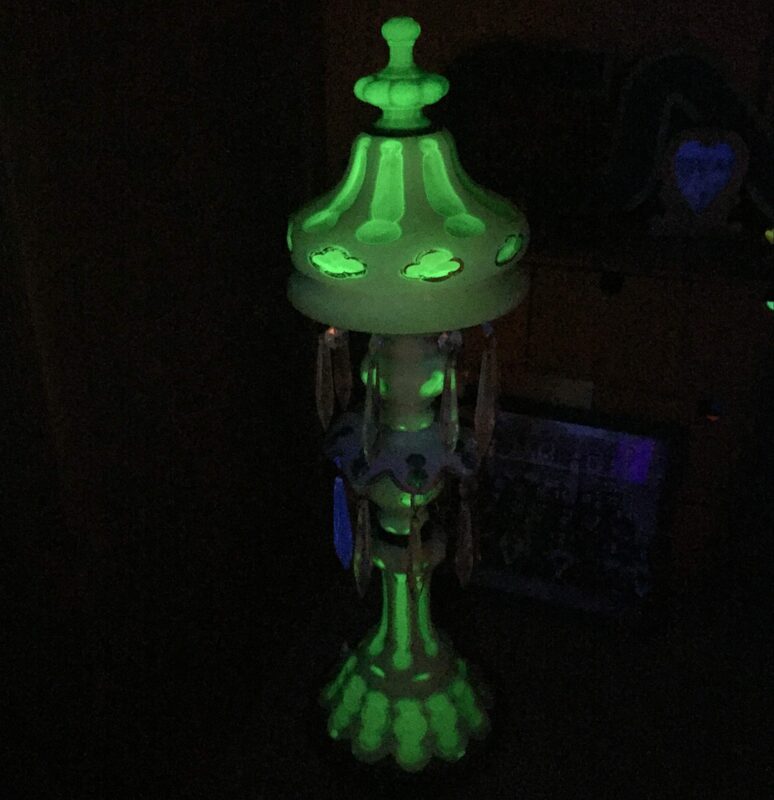 Estimated value: 200-300$. My room is (as you might expect) mostly decorated with former trash. Here are three new additions to my interior decor. It’s actually kind of hard to find a decent rug in the trash. Many of the ones I see are moth-eaten, mildewy, or of low production quality. You also have to be very sure that they aren’t infested by bedbugs. Fortunately this one avoided all those ills, and now it adorns the center of my den. It really ties the room together. Found this June in TMR. Estimated value: 100$. 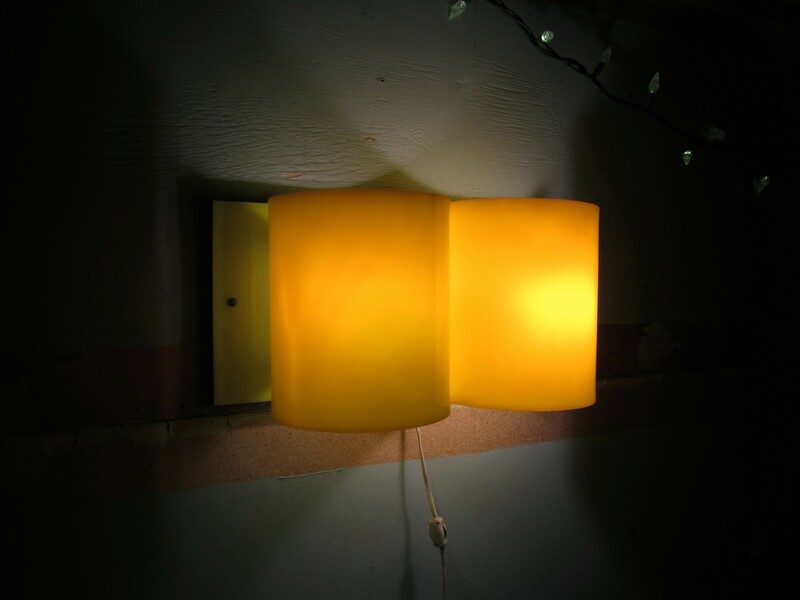 I love yellow and 60s mod design, making this lamp an obvious keeper. It now illuminates a corner of my room. Found this March in NDG. Estimated value: 100$. This piece speaks to me because of its style. I also appreciate that it was made by a noted local artist. It now hangs on my wall, hopefully making people think I’m more cultured and distinguished than I actually am. Found this May in TMR. Estimated value: 150$. There’s lots of strange things to be found in the garbage. Sometimes, I decide it’s for the best that I don’t share some of these things on the blog. This top five list contains two never seen before items, things that I figured were best shared long after finding them. Otherwise, these things are all united in being weird, somehow surprising, or just a bit mysterious. 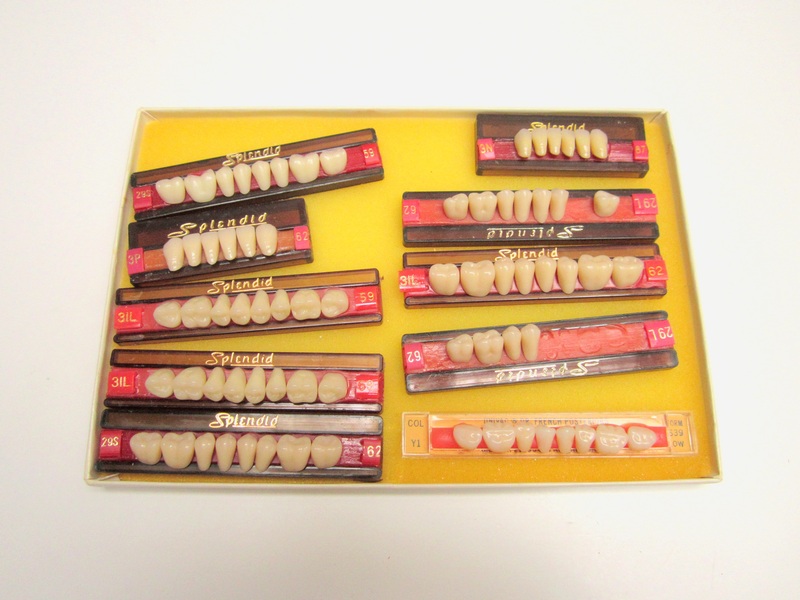 These belonged to an old dentist. I found some dental instruments in the same spot, as well as a little wooden box full of baby teeth. I considered adding the latter to this section, but finding baby teeth isn’t actually that unusual for me (they’re like seashells: lots of people collect them, and later decide they don’t want them anymore). Found this January in Verdun. Status: Sold at a market, and converted into brooches by a local artist. It seems that I find dental gold once or twice a year. This one was a bit different though as it was just one big chunk of gold. Often they are just a thin cap or fillings that extend over a few different teeth. 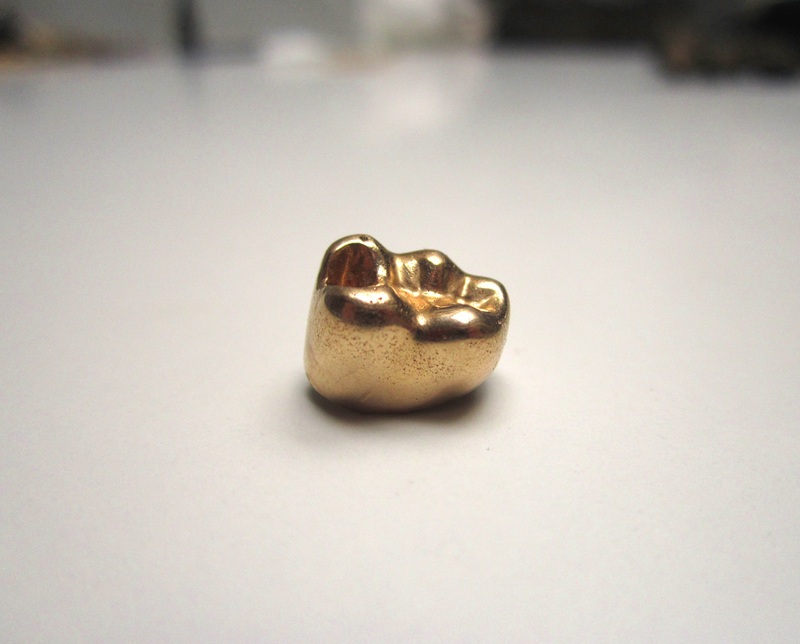 I’d love to find dental gold more often because it’s easy money. However, it’s still a bit weird taking something that was once an important part of someone’s mouth. Found this March in NDG. Status: Sold for scrap (approximately 80$). I’m no archaeologist but I’d say these items look pretty ancient. I’ve held off on selling them because I can’t really prove they’re old, though I suppose I could just list them asking eBayers to judge for themselves. Regardless, I don’t mind holding on to this stuff – it’s pretty cool owning ancient artifacts. The house it all came from gave off generally mysterious vibes, and it seemed like the previous owners were very eccentric. I’m not sure what happened but a lot of their stuff ended up in a big yellow dumpster. 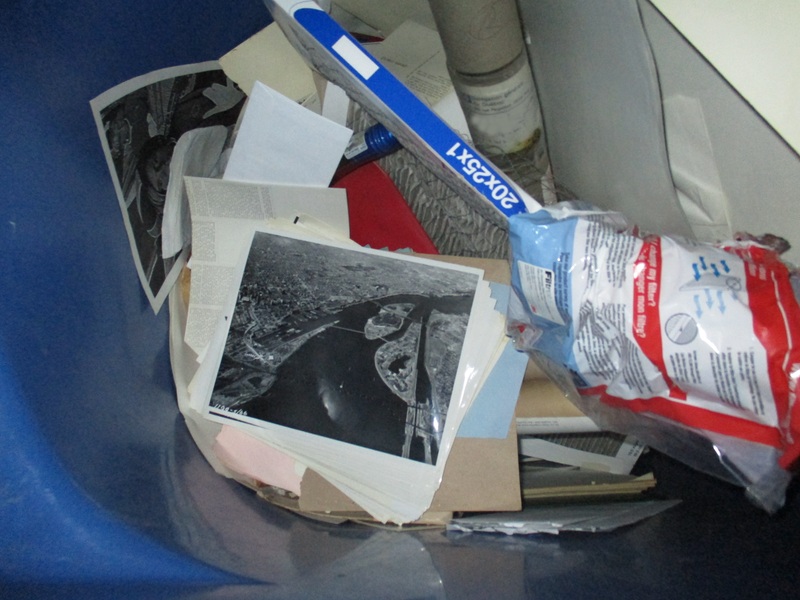 The bin also provided a bunch of scrap silver, a 17th century book, and there were three other adjacent dumpsters full of mediocre amateur art. The inclusion of these items in the oddities section is due partly to to the fact that it’s weird to find ancient artifacts, even if they’re not particularly valuable in the trash, and partly because the spot itself was so strange. Found this February in Outremont. Check out the link if you’d like to see pictures of the other beads. Status: The beads are collecting dust, while the vessel (below) is on display. 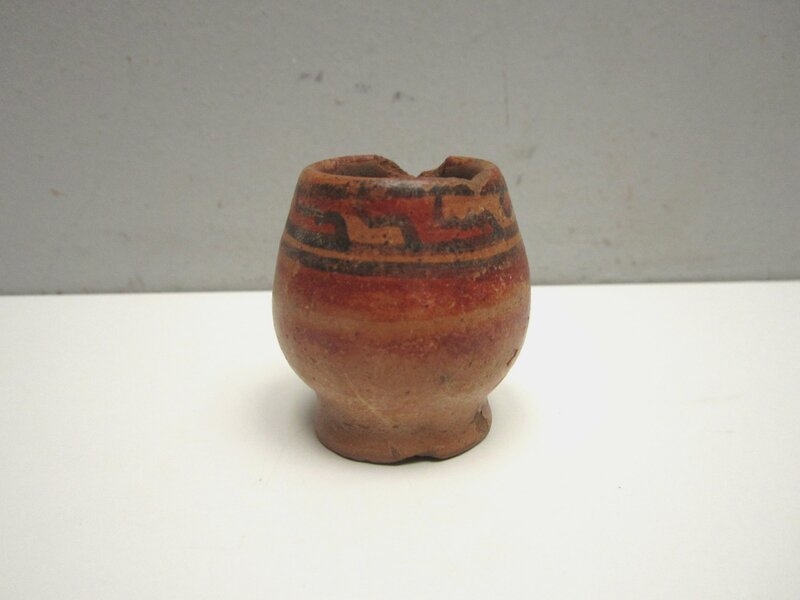 Estimated value: About 10$ per bead and 40$ for the vessel. I found this gun in a recycling bin of all places – this thing definitely isn’t recyclable! I held off on posting it because I figured people might be reasonably sketched out. 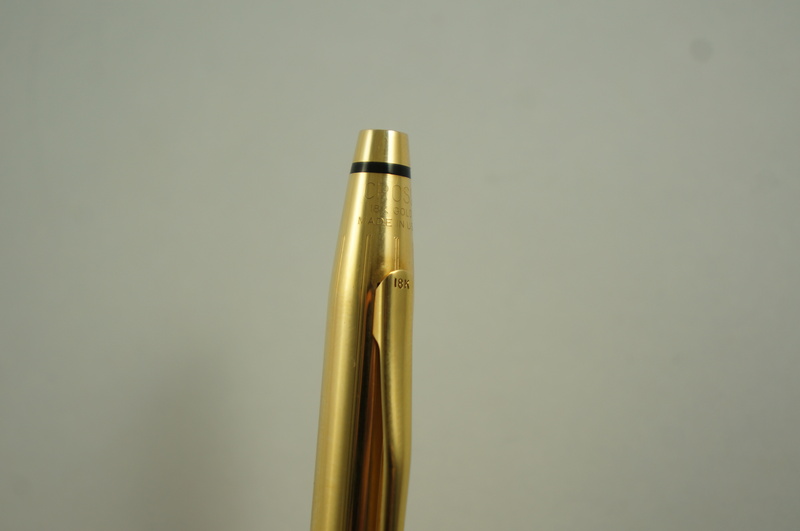 The gun is a .22 caliber, which is quite small and intended mostly for hunting small game and birds. The gun is also definitely vintage. My guess is that it was made in the 50s or 60s, and the barrel is rusty to the point that it might be dangerous to shoot. In short, it’s much more a “kid’s first gun” than a potential murder weapon. The house it came from was recently sold, so chances are the previous owner just didn’t want to hold onto this piece of their childhood any longer. Estimated value: Not a heck of a lot. I see old photos on a fairly regular basis, and very occasionally the previous owners (or the people who inherited them) rip them apart. I find this annoying because it makes it difficult to decipher the potential story behind the images. I kind of understand the motivation in this case though, as this photo portrays someone shaking hands with a Nazi. The photo is a lot more innocent than it might seem at first glace though. 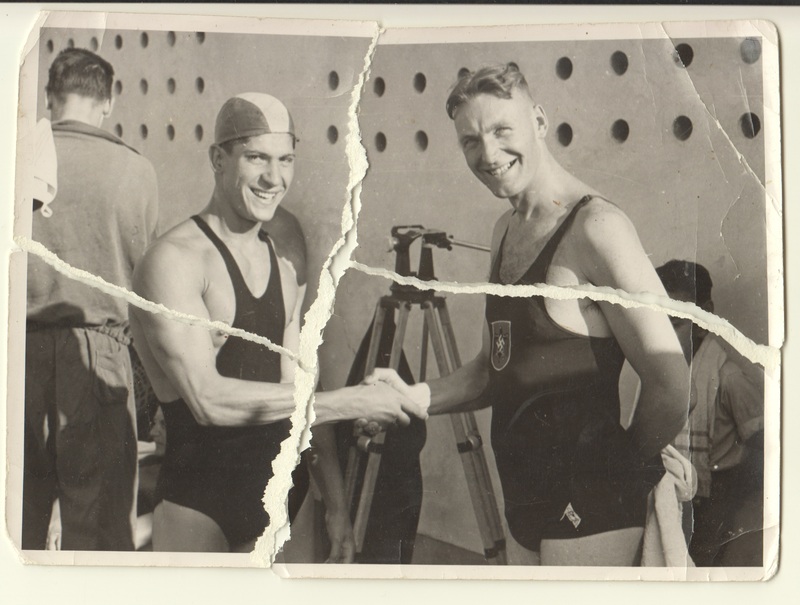 It took place at a pre-war swimming competition, and the Nazi swimmer is just another competitor. I very much doubt the wearing of Nazi insignia was optional at the time, so the man wearing the outfit isn’t necessarily a supporter of the ideology. As well, the man shaking his hand is doing so out of sportsmanship, not because they have any kind of sympathy for the cause. I didn’t mention this picture on the blog before due to its personal nature, but figure it’s okay to share now that a sufficient amount of time has passed since it was thrown out. Nevertheless, the exact spot it came from will remain secret. I considered blurring the faces, but I don’t think it matters anymore given that the photo is about 80 years old. In no particular order, here are five things that didn’t make the top 10 but deserved some credit nonetheless. I love both history and baseball, so finding this postcard was pretty sweet. 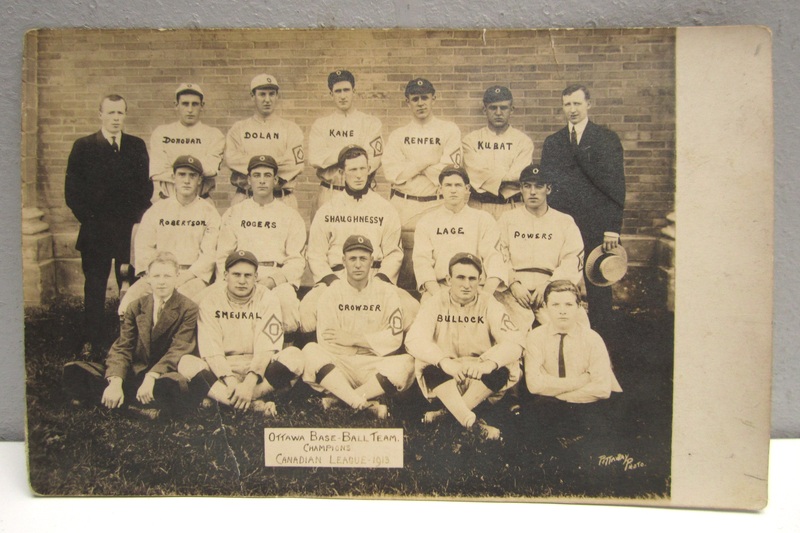 It features Frank Shaughnessy, a notable athlete, executive, and sports innovator. I would have like to have kept it, but I needed the money. Found this April in TMR. 2015 was the year of the laptop. In 2014 I found only one that was in working order (a Macbook that just needed a battery). This year though I found three, all of which were more powerful than the Macbook. 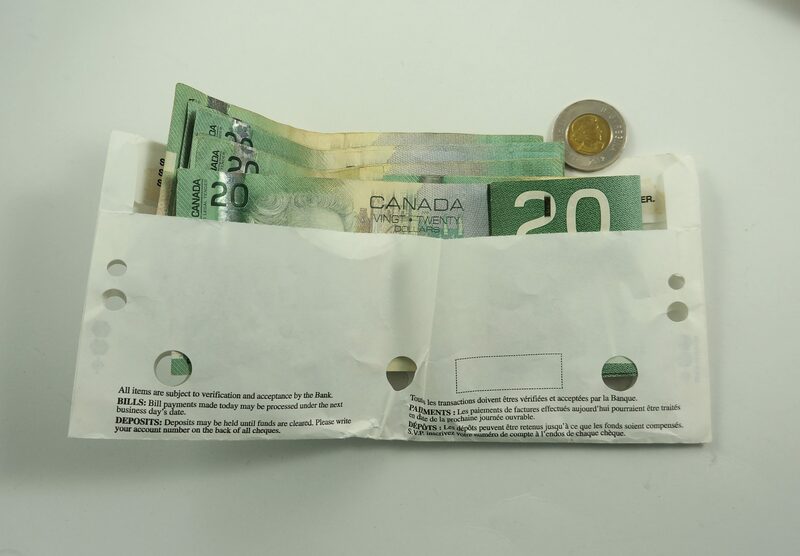 As you might expect, it’s people with money who throw out working laptops: Two came from Westmount, while another came from a nice house in Cote St-Luc. This doesn’t include a few others that I sold for parts. 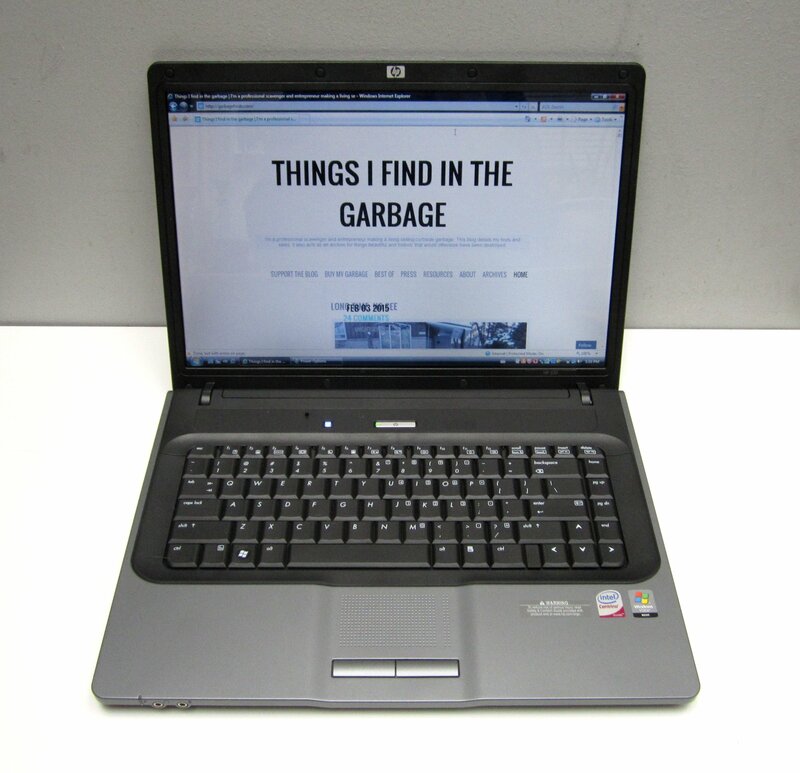 None of these laptops are top of the line, but they’re definitely not trash! It’s also important to note that laptops aren’t supposed to be thrown out regardless, as they contain dangerous chemicals that contaminate the environment. 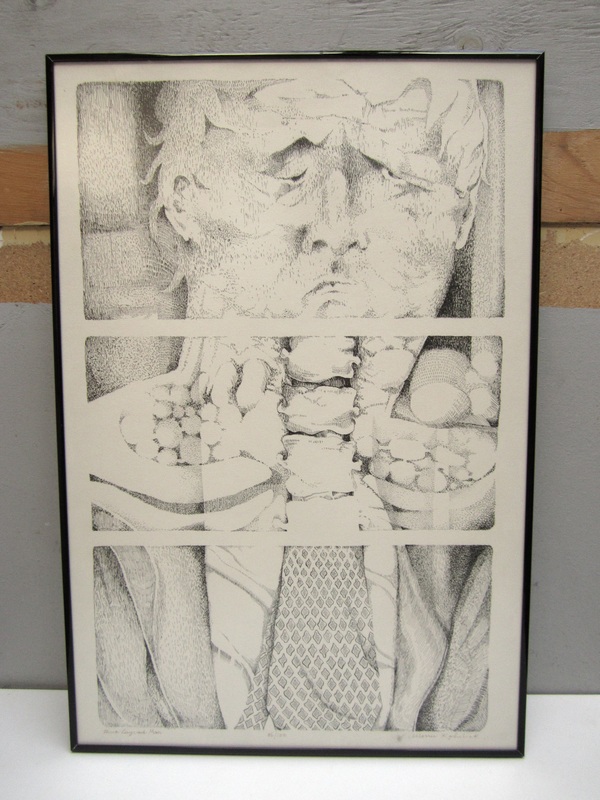 Status: The one pictured sold for 80$. My mom is planning on buying the two from Westmount for 250$. 2015 could have also been the year of the silver. 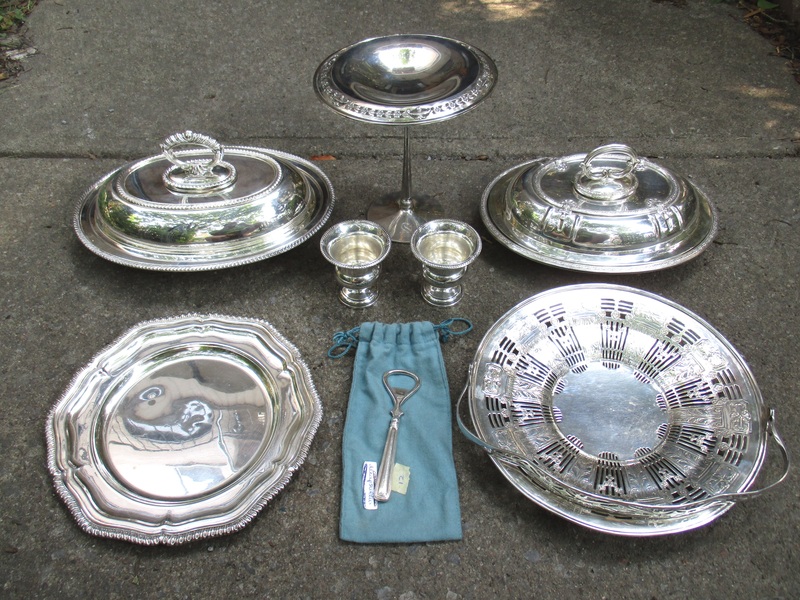 I found nice pieces or big hauls of sterling in several locations, including: a silver box in Westmount; a silver guilloche compact, tea strainer, and utensils in CDN; a box of miscellaneous silver in NDG; and a bunch of scrap silver saved from a dumpster in Outremont. And that’s not including some pieces yet to come! 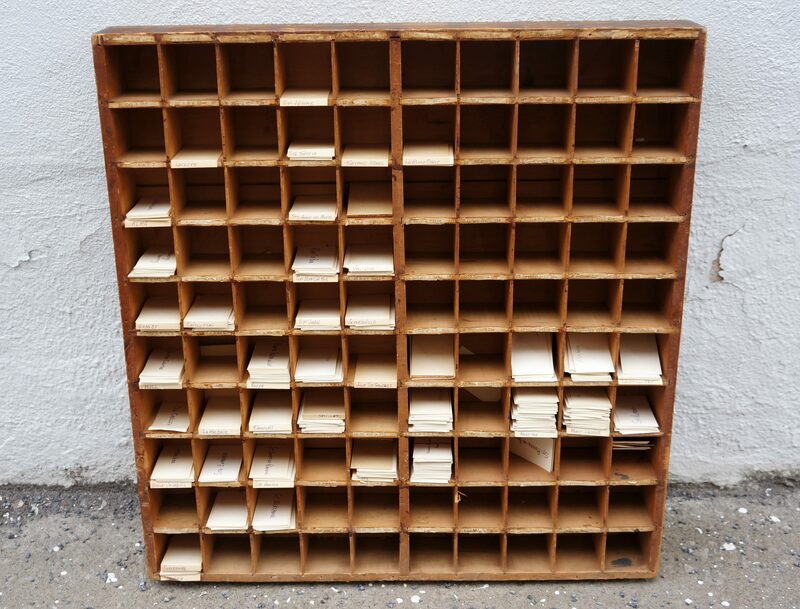 Status: Some pieces sold for scrap, some listed or sold on eBay, some collecting dust. Someone in Verdun had a keen interest in the occult. I found several different vintage card games in front of their place on Bannantyne, some of which sold for pretty good money. The same spot also produced the fake teeth from earlier, and a nice collection of vintage restaurant menus that narrowly missed being added to this section. 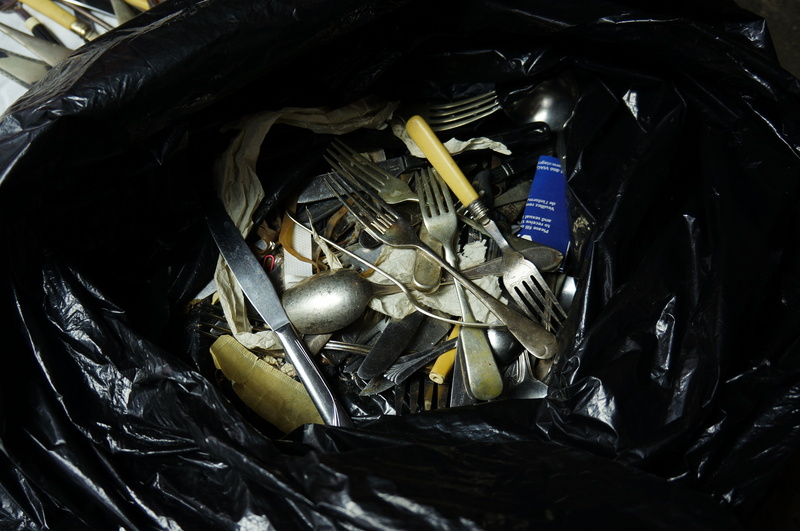 They were found over a few different trash days in January and February. 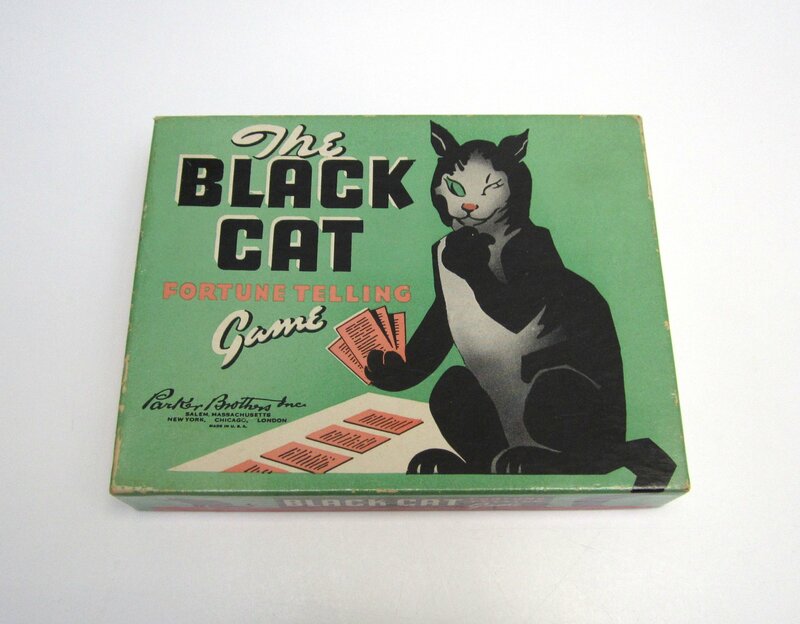 Status: Black cat game sold for 130$; EE Fairchild (middle bottom) deck for 35$; Gypsy Witch deck for 35$. Two others are collecting dust, while another was sold at a yard sale. 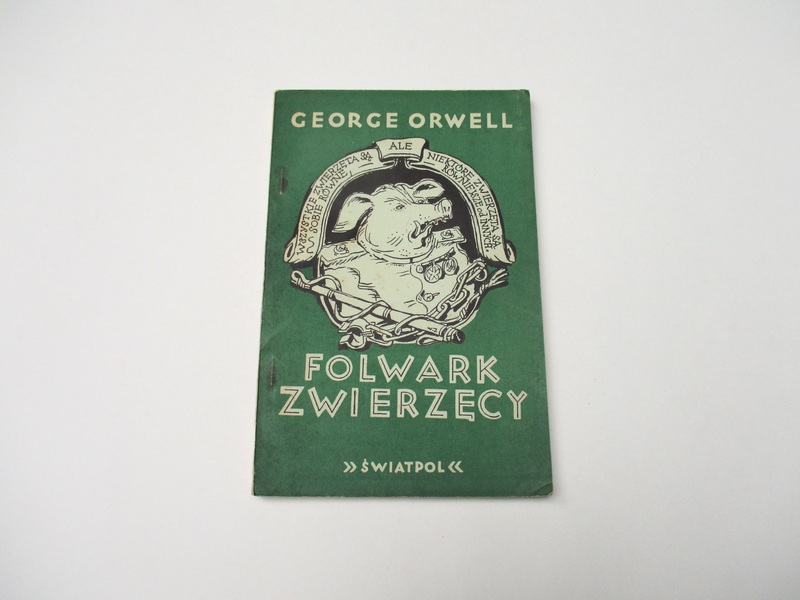 This is the first (or if not the first, a very early) Polish edition of George Orwell’s Animal Farm. It was published in 1947 by the League of Poles Abroad. The binding is very basic and economical, intended for distribution to a country devastated by the Second World War. It was in remarkable shape considering its age and binding technique, not to mention the fact that it was tossed in a recycling bin. 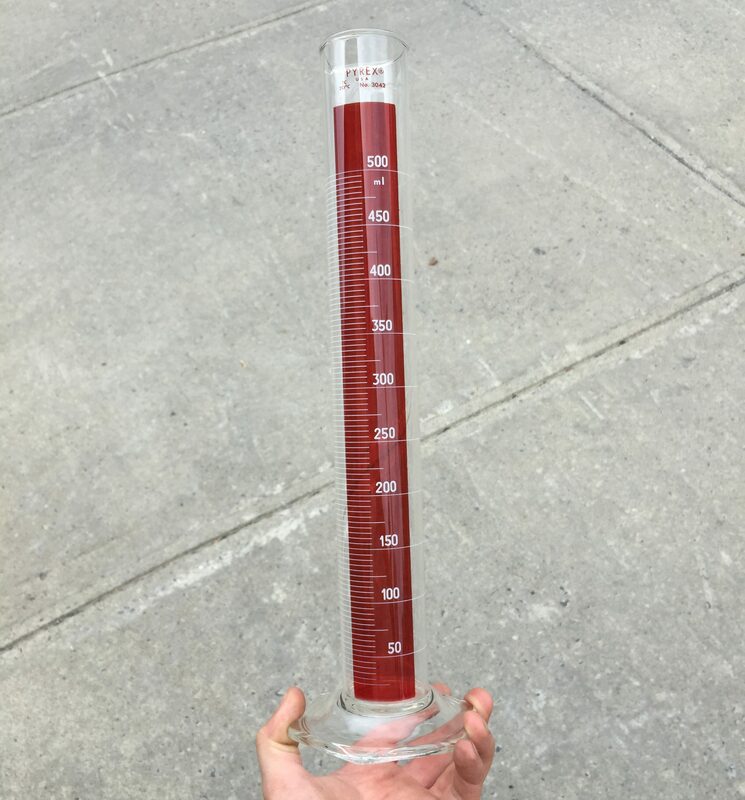 Found June 2015 in Mount Royal. You know the drill for this section! These are the finds that I think constitute the cream of the crop. Some are museum worthy, some are useful, and some are just very valuable. What unites them is the excitement they add to my life. Finding this kind of stuff is a big part of what motivates me to keep on picking. I don’t think I’ve ever found so many old photos in one place. There’s so many that I haven’t thoroughly looked through them yet – the prospect of doing so is a bit overwhelming. 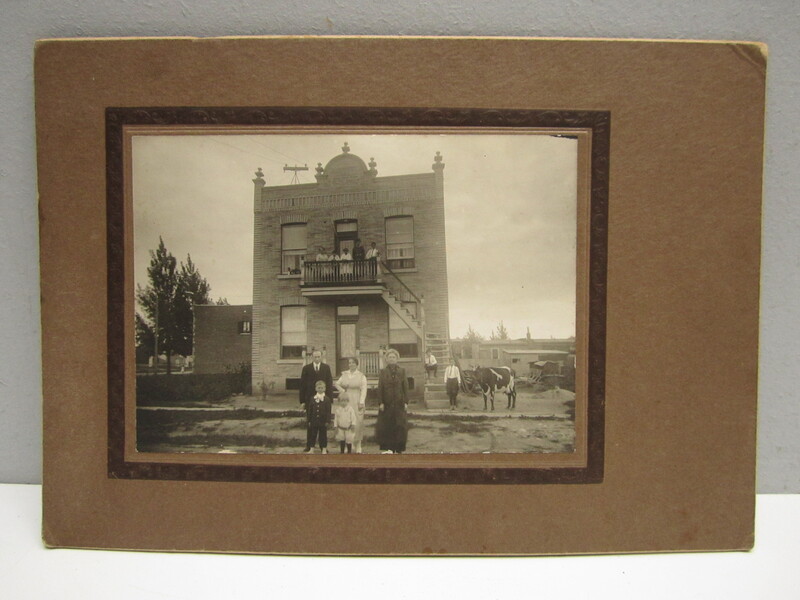 Included in the box was a great circa 1910s photo (see below) of a family posing in front of their Villeray home with their cow. That photo became the subject of a newspaper article a few months ago, and I earned 60$ for the photo rights. 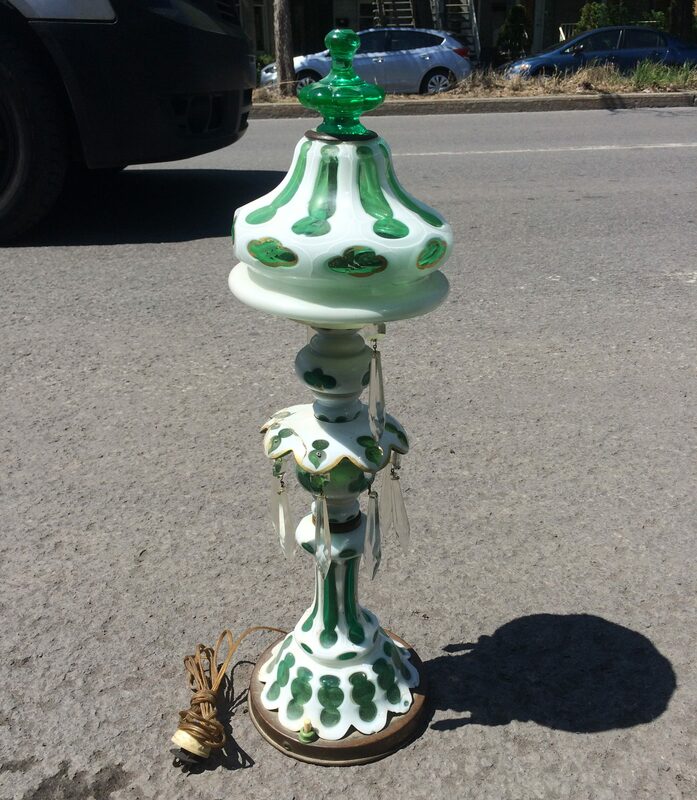 Also included in the box was a very nice piece of Quebec folk art, which I have listed on eBay for 115$. It’s sad to see such things tossed, but at least I was there to save it. Found this April in TMR. Status: The cow photo has been added to my personal collection of found objects. 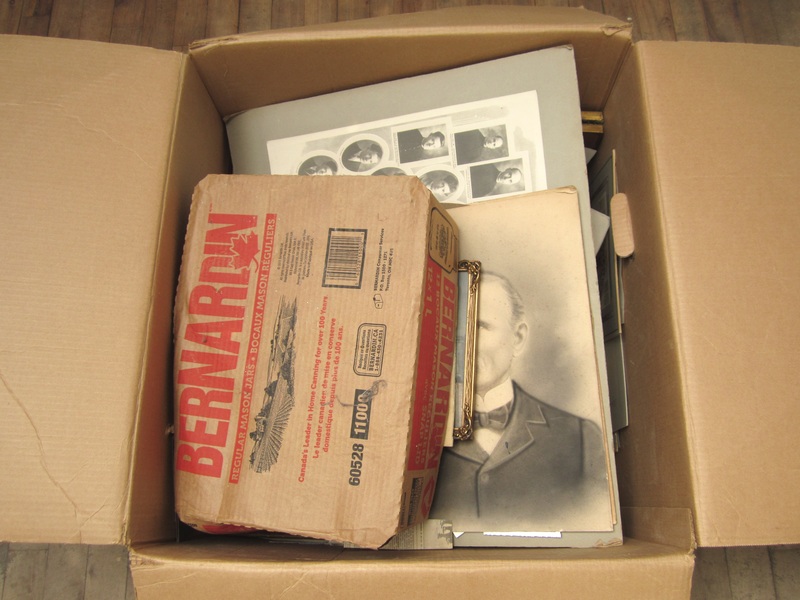 The rest of the box is mostly intact and in storage. I should probably figure out what to do with it in the new year. Staunch federalists may disagree with this selection (some might even want to burn it!) but I personally think this election sign deserves a spot in the top 10. It’s just one of those historical object that really zooms you back to the time in which it was created. 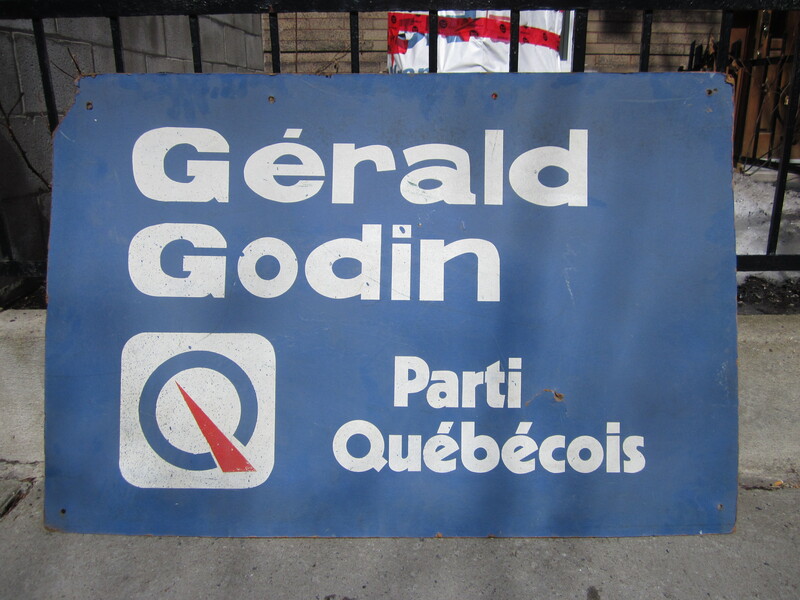 The sign was likely made in 1976, the first election that René Lévesque’s Parti Québécois won in Quebec. It helped to elect Gérald Godin, a well know Québécois journalist and poet. 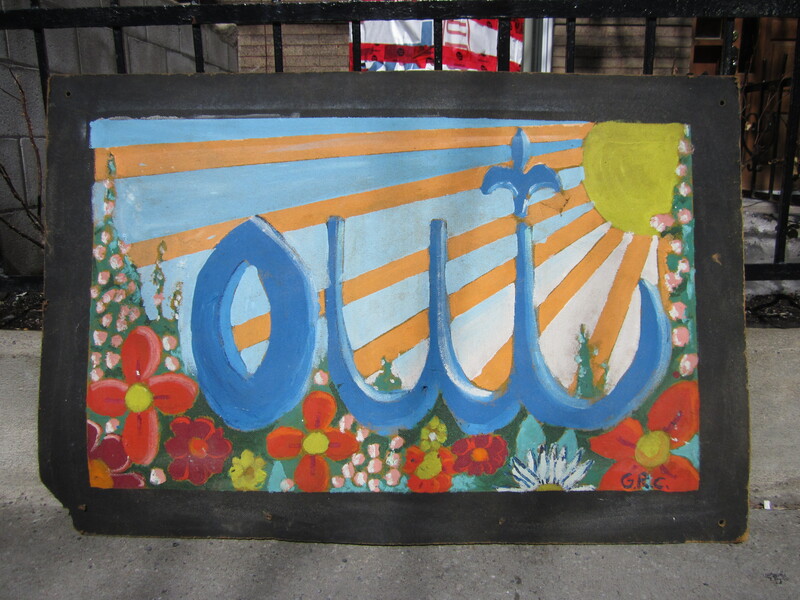 That side, with its distinctly 1970s graphic design is cool enough, but on the other side is a hand-painted mural (below) that was likely painted for the 1980 Quebec Referendum. The one-of-a-kind painting really captures the spirit of that interesting time in Quebec’s political history. Found this April in the Plateau (or Mercier, in homage to this sign). Basically some very rich people moved, and someone in the family tossed a whole black trash bag full of jewelry. Not much of it was that special, though I did sell a pair of Tiffany earrings for 100$. However, I did make nearly 400$ from junk gold and silver alone and sold a bunch of the costume jewelry at yard sales. Overall, it was pretty easy money! 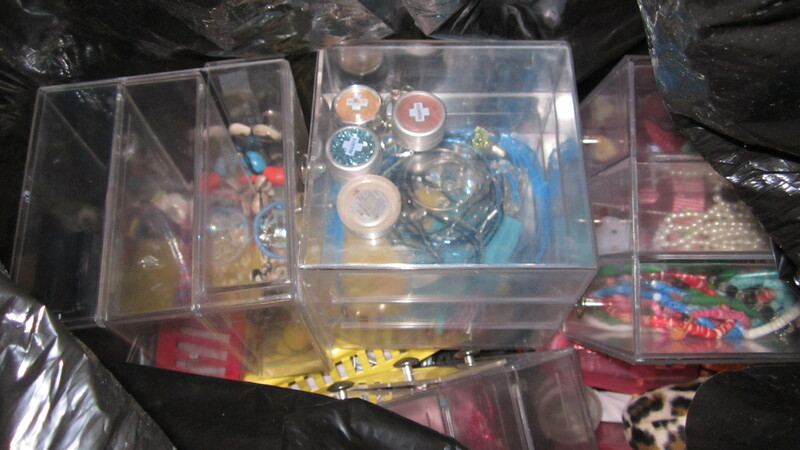 The same people also tossed a whole bunch of perfumes, sunglasses, and curiosities, making them a top candidate for “spot of the year” – if I had chosen to include that as a category. Found this May in Westmount. Status: Mostly sold (for a total of around 600$). 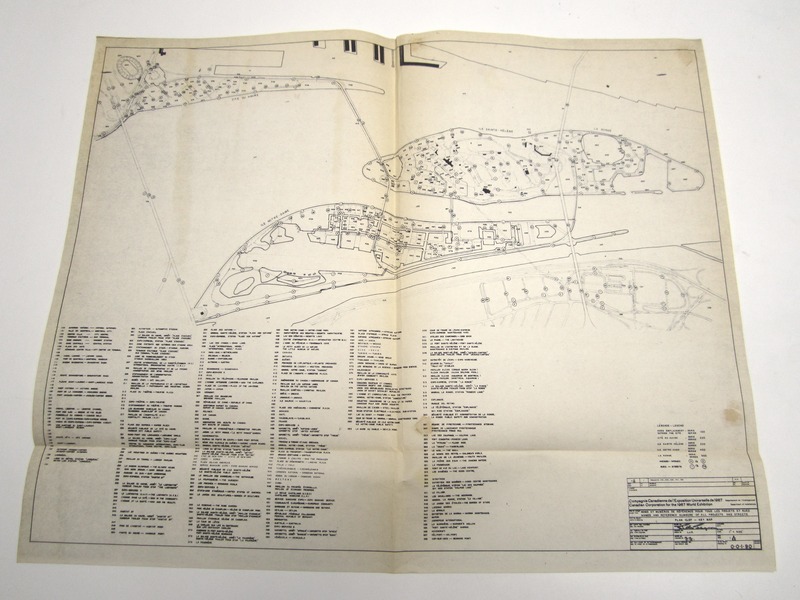 2015 saw me find a bunch of great Expo 67 related stuff, including this rare key map of the Expo 67 grounds. 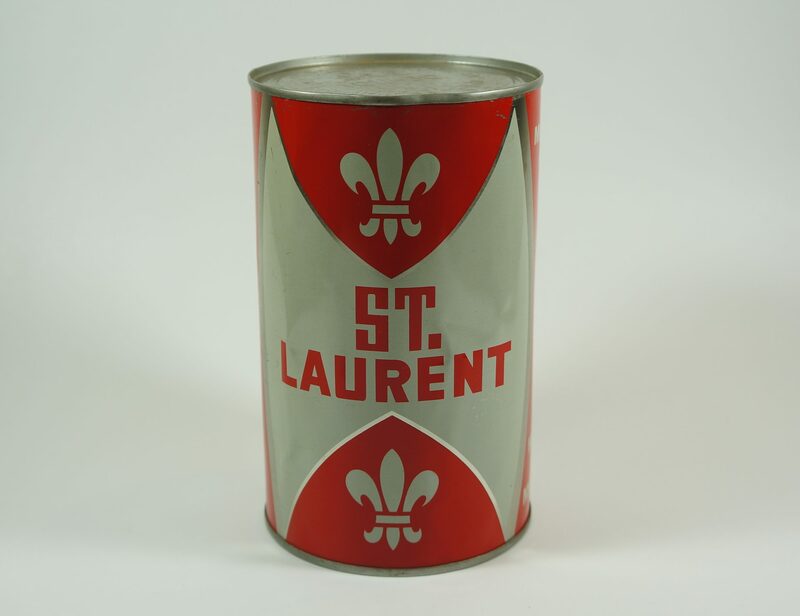 It must be rare, because I shared it on the Expo 67 Facebook group and most had never seen anything like it. It’s signed by Gilles Gagnon, one of the project’s head engineers. The map was included in what looked to be a kid’s school project, and I’d guess one of the parents must have had some connections to get it. Found this March in Hampstead. Status: I intend on getting it scanned, and then selling it for whatever I can. 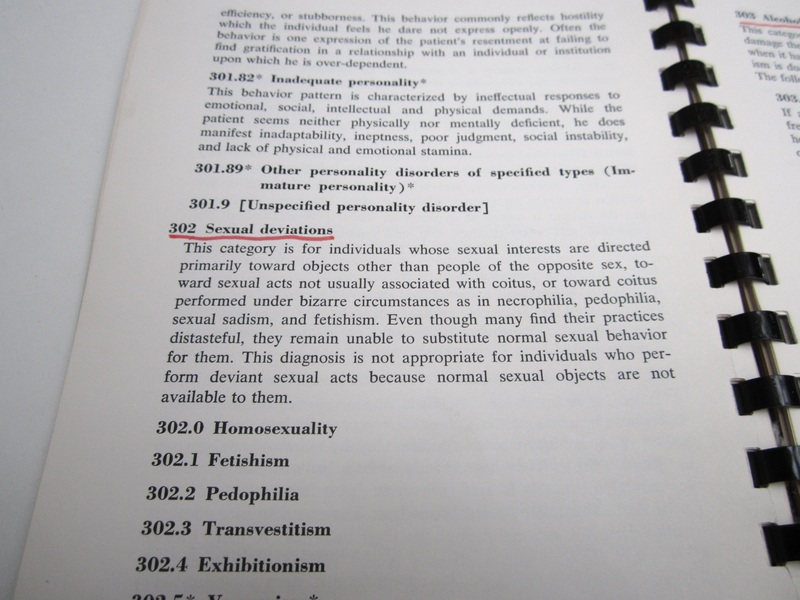 The DSM II, the diagnostic manual of the American Psychiatric Association, is notable for being the last edition to include homosexuality as a mental disorder. 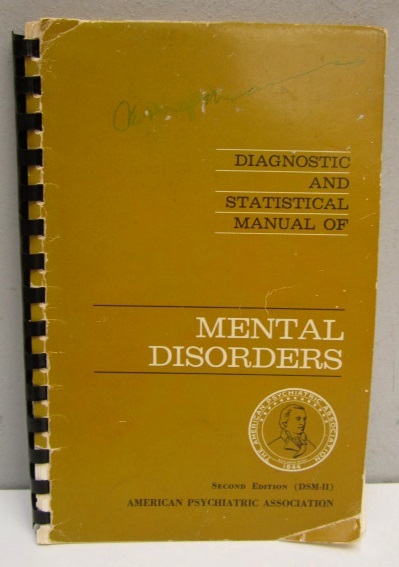 It’s an interesting piece of history, and apparently difficult to find; my copy, far from being in pristine condition sold for a very pleasant amount. 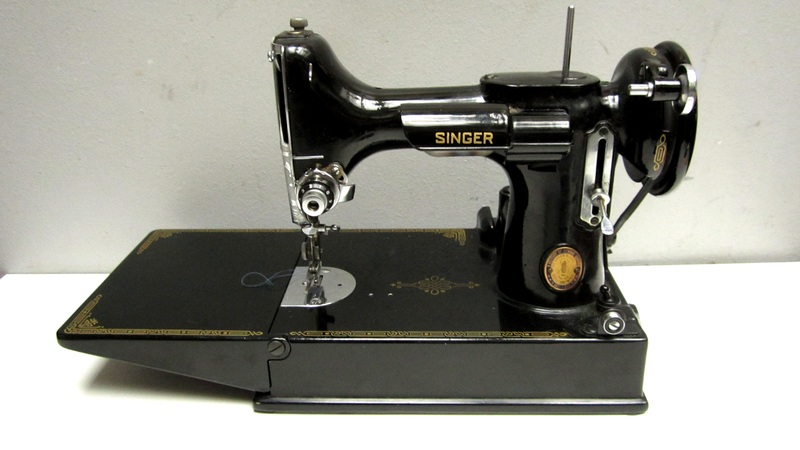 This sewing machine is apparently very desirable to quilters due to its light weight. It came in its original case with a bunch of accessories, and made me nearly a whole month’s rent. I ended up selling it locally to a fashion design student. It’s nice to know it’ll be put to good use. Found this May in Cote-Des-Neiges. It’s a bit funny to have a watch buckle as my forth best find of the year. However, this buckle was 18 karat gold and made by Patek Philippe, a prestigious watch maker whose work often sells for tens of thousands, and sometimes hundreds of thousands of dollars. 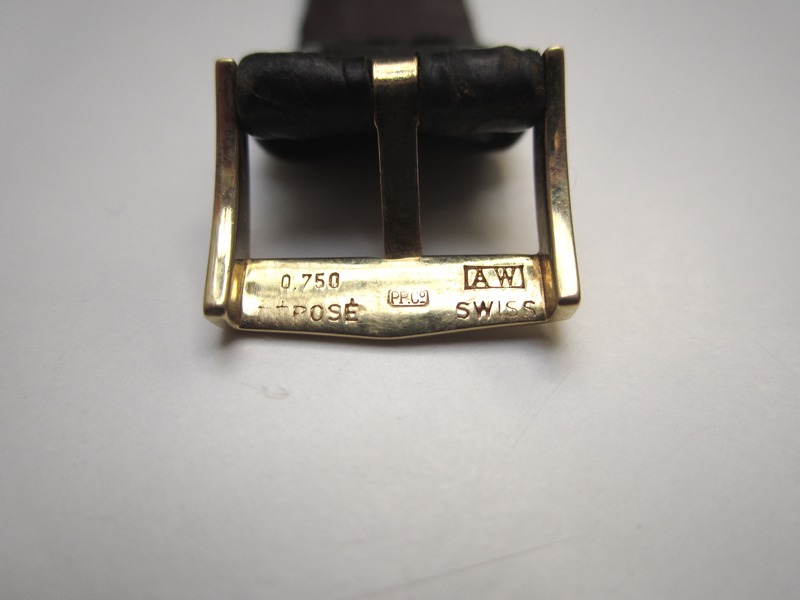 Some watch collector was likely very happy to get their hands on this buckle, which would have helped to (genuinely) complete their vintage gold watch. Found this March in Hampstead. This was hands down my best jewelry haul of the year, featuring several great modernist and brutalist pieces from the 1960s. There were three works by Guy Vidal, a renown Montreal based designer, a five piece sterling silver set by Arne Johansen, and a few other unsigned but beautiful pieces. 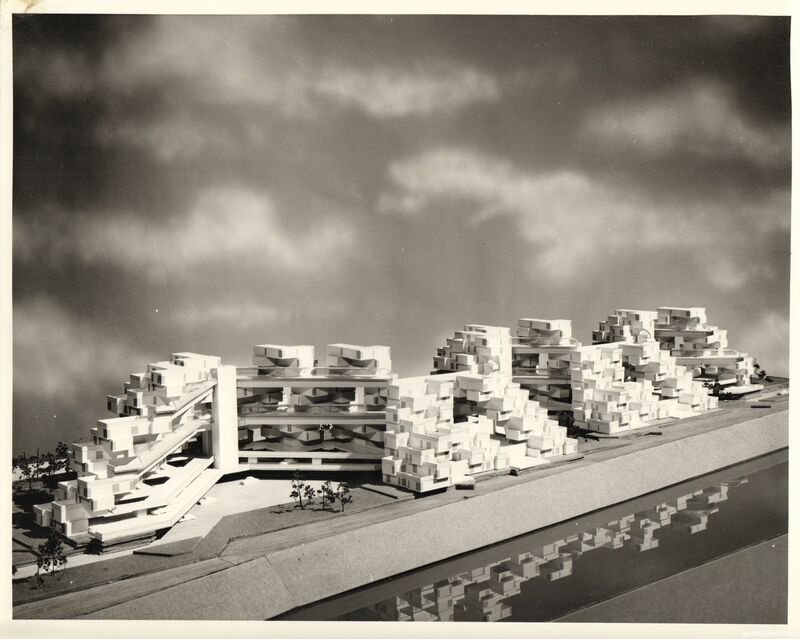 This collection taught me a lot about this era of design, and also made me a load of cash. Most was found this March in NDG, though the Johansen set was completed a few weeks later. 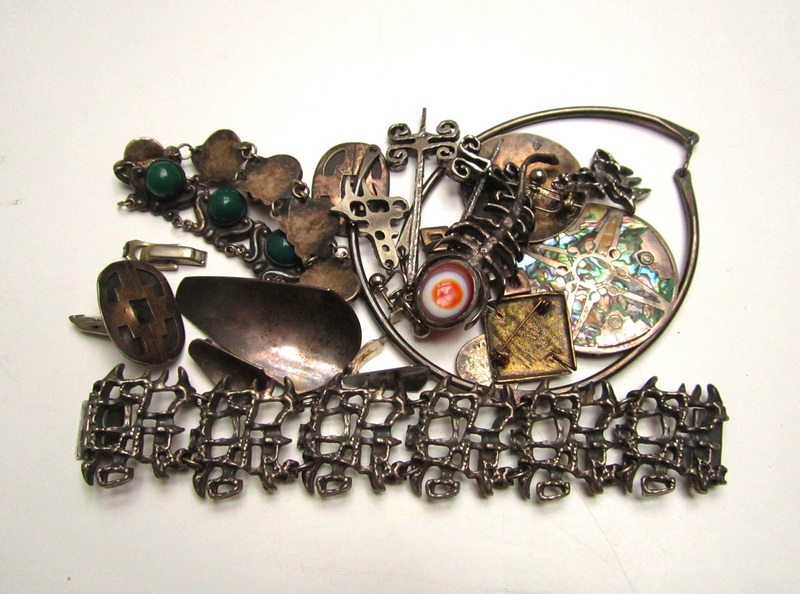 Status: Guy Vidal pieces sold for 375$ (bracelet 185$, earrings 100$, other earrings 90$). 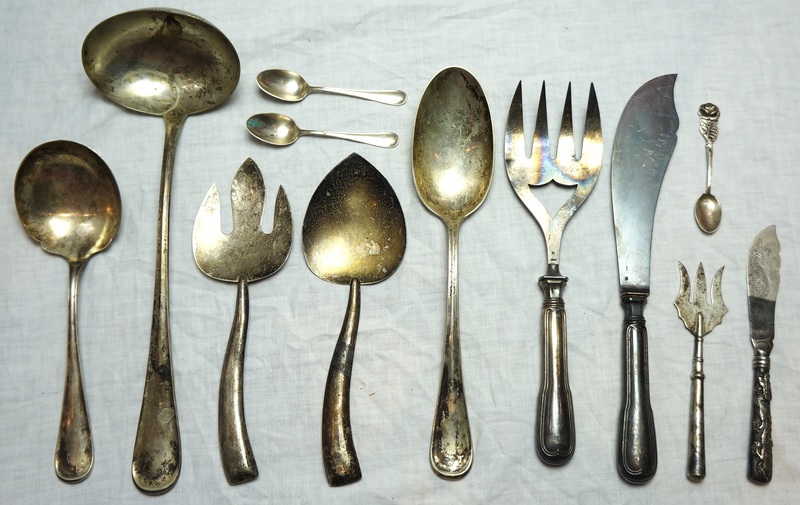 Arne Johansen set listed for 675 US$. Others listed on Etsy (one, two). This gorgeous catalogue, which was published sometime in the 1930s provides great insight into the aesthetics of art deco design. 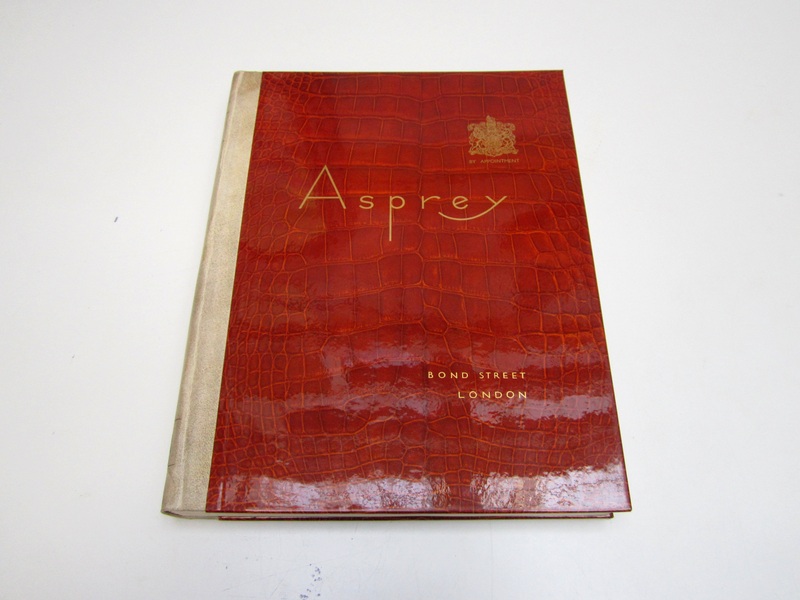 The catalogue was made by Asprey, a prestigious UK-based designer, manufacturer and retailer of luxury goods. Their flagship store is on New Bond Street in London, one of the most expensive retail strips in the world. 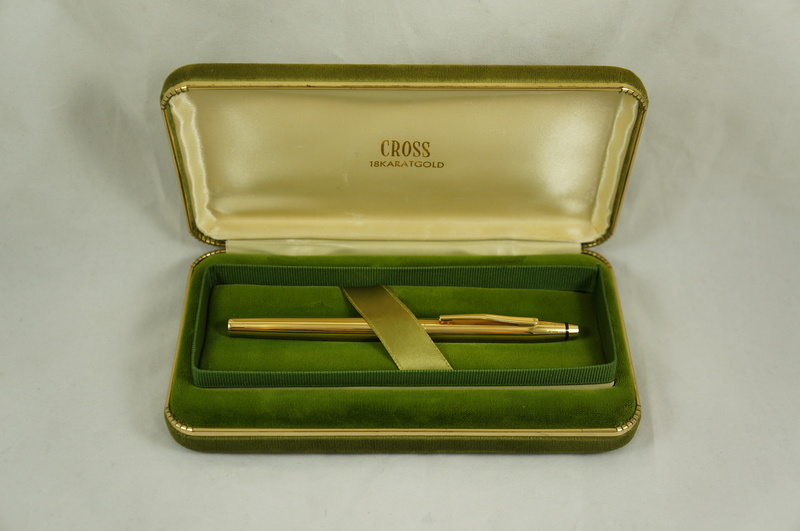 Status: Listed on eBay for 1100 US$ (approximately 1525 CAD$). Like I mentioned earlier, it was difficult choosing a top find this year. There was no clear front-runner. Each of the top three are of roughly equal monetary value, and each has significant historical value. However, I ultimately decided to go with something with a little more local flavor. Besides, of all the three these photos received the most attention. 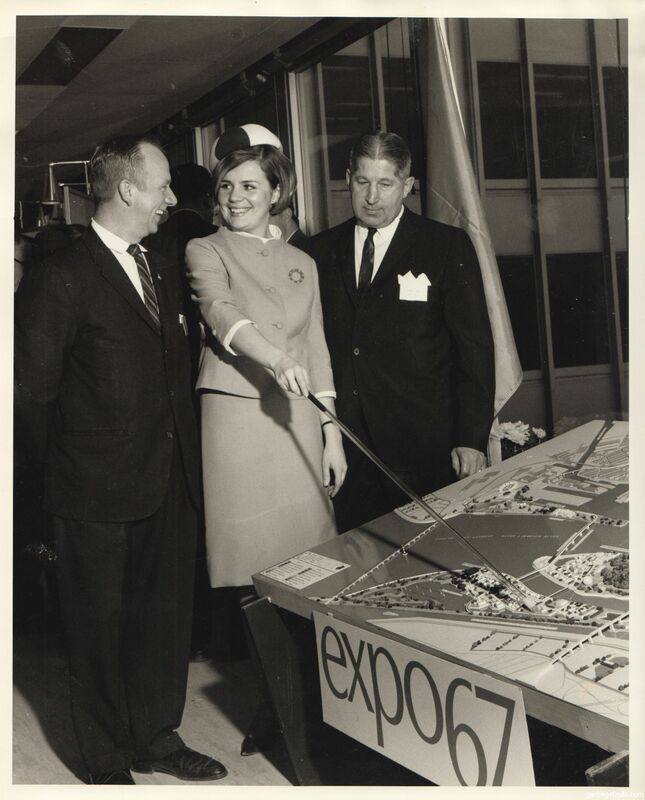 I’ve been in touch with two different local archives, both of which are preparing for 2017 – the 50th anniversary of Expo 67. 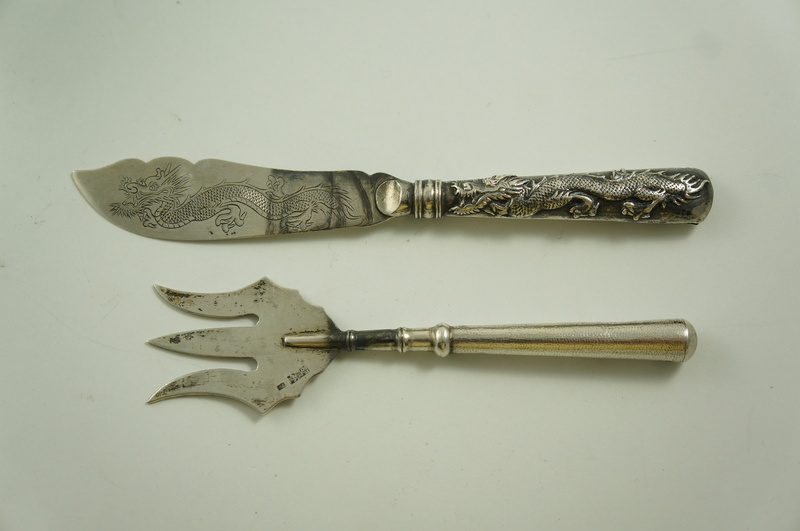 Both have interest in adding these items to their collection. 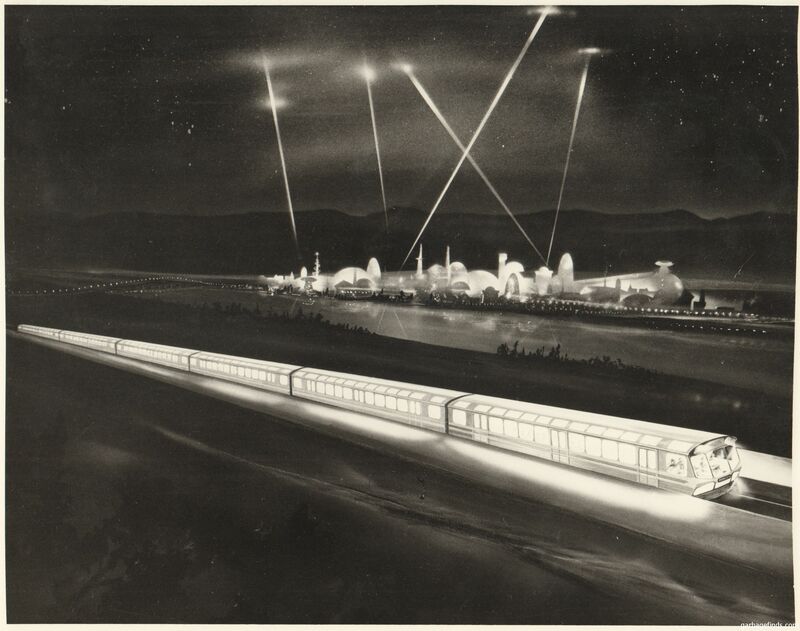 The photos are mostly architectural models of the various pavilions, some of which never actually came into existence. There are also aerial shots of the grounds, photos of a few different hostess uniforms, and a rare shot of Montreal Canadiens great Elmer Lach. Many of these photos come with a type-written description. Otherwise, there were various pamphlets, press releases in a few different languages, and a very hard to come by Hostesses’ Handbook. 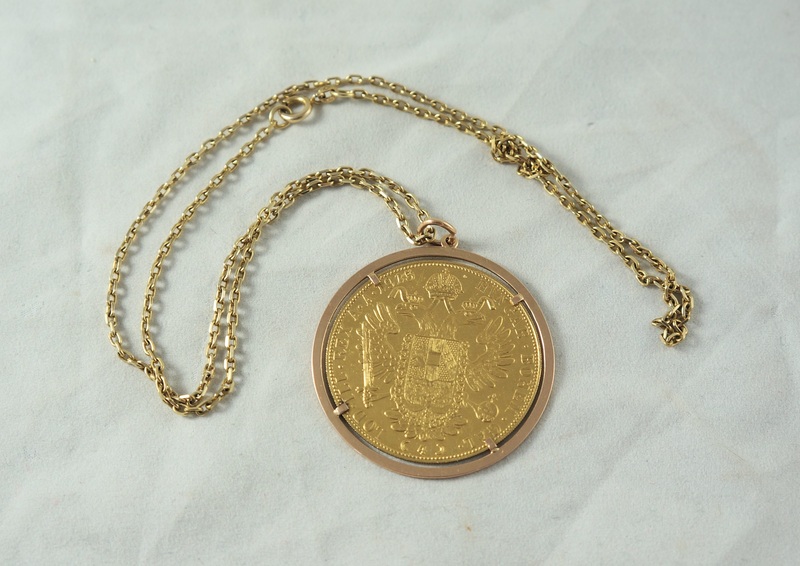 Overall, it’s a fantastic collection featuring many rare, historically valuable items. Now I have to figure out what to do with it. 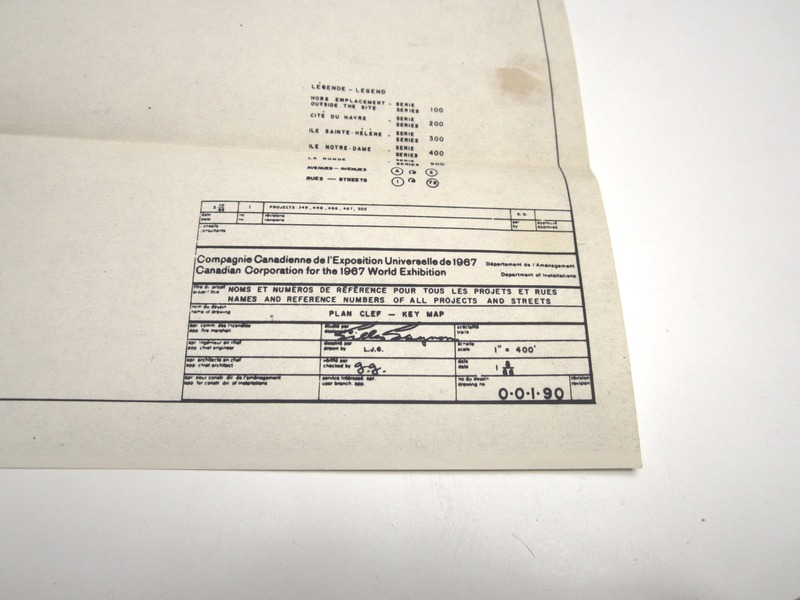 One of the archives can only offer a tax receipt, though given my increased income that might actually come to use – I’ll likely have to pay taxes for the first time this year. The other archive has made a solid monetary offer. However, I can’t help but wonder how much I could sell these for on the private market. I would love for them to go to an archive, but I still have a lot of student debt to pay off thanks to my (somewhat naive) investment in a mostly useless Sociology degree. It’s impossible not to think about what the maximum payout might be, and impossible to find out without listing it for premium amount. I’ll figure out what to do in the new year, but I’m confident I’ll get at least a decent payday one way or the other. Found this October in a TMR recycling bin. Check the link if you want to see more of this collection! 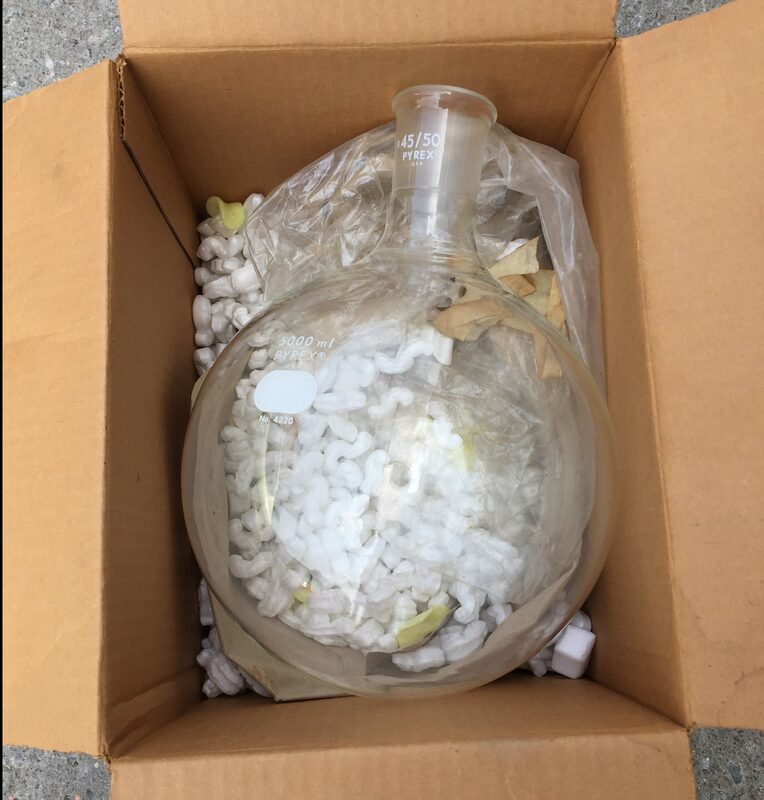 Estimated value: To be determined. The same thing, most likely! I hope to make a bit more money next year, and I figure 24k (or 2 grand a month) is a challenging but attainable goal. In 2016 I plan to stay on top of my work like I’ve done the last few months, get to finishing some of my dustier, long delayed projects like scanning that Expo key map, and schedule a healthy dose of relaxation and down time. I’m also looking to increase my blog subscribers, so if you know anyone who might be interested in seeing what I find in the garbage, send them this way! Thank you so much to all of you for your support in 2015. All the best in the new year!